Category Archives: We’ve Got a Winner! …Harold Oxborough. Harold, your Blu-ray/CD edition of Jeff Lynne’s ELO’s Wembley or Bust will soon be winging its way (in an ELO-inspired spaceship, no doubt) to you. Thanks for entering! Look out for more cool Pure Pop Radio contests coming soon to the premiere cyber home for the greatest melodic pop in the universe. Categories: We've Got a Winner! Tags: alan haber, pop that goes crunch radio, pure pop radio, We've Got a Winner! A double dose of business today: Who won our latest contest and, consequently, a copy of Ringo Starr’s Give More Love CD? The winner is…Carolyn Cullison! Congratulations, Carolyn; your prize will soon be spreading a whole lot of peace and love on its way to you. 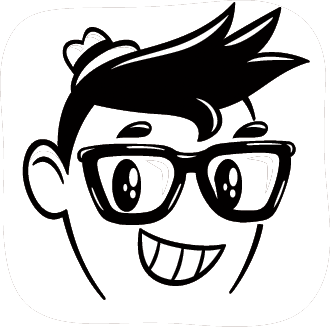 Categories: Alan Haber's Pop Tunes Deejay Show Playlists, We've Got a Winner! Tags: alan haber, Alan Haber's Pop Tunes Deejay Show Playlists, pop that goes crunch radio, pure pop radio, We've Got a Winner! …Andrew Milstead. Congratulations, Andrew! One of the great soft pop albums of all time, June and the Exit Wounds’ “a little more Haven Hamilton, please” is a must for any collection. Spinning it on vinyl is an extra-special treat! Thanks to everyone who entered. More cool Pure Pop contests are coming. Watch this space! Categories: We've Got a Winner! Tags: alan haber, june and the exit wounds, pop that goes crunch radio, pure pop radio, We've Got a Winner! …Scott Pazur! Scott, you are the lucky winner of our Pure Pop Radio Poppin’ Prize Pack, consisting of the latest releases from Bill Lloyd and Ray Paul, plus a very cool CD from our archives from Shades of Al Davis. We hope you enjoy them all! Thanks everyone for entering. More contests on the horizon…stay tuned! 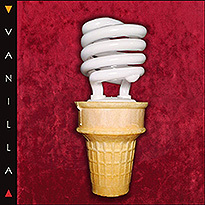 Put your hands and toes together for Steve Kutney, who is the winner of our Vanilla 2.0 contest. Congratulations! Your CD will be winging its way to you shortly. Watch for more contests coming soon! 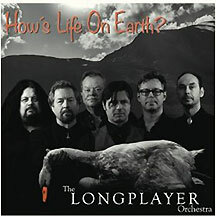 The Longplayer Orchestra’s How’s Life on Earth? Congratulations to Chris Kouzes, the winner of the Longplayer Orchestra’s How’s Life on Earth? CD. This wonderful 2013 disc will be winging its way to you shortly. Keep an eye or two out for our next contest. We love to give stuff away, and our next winner could be you!